How to get more app reviews: This is a study we conducted with a sample of our users over six months. The data shows user feedback before and after Instabug. ? You want more app downloads, and you’ve realized that you need to get better Play Store reviews to get more installs. You’ve come to the right place. In this post, you’ll learn how to get more app reviews, increase user feedback, drive five-star ratings, boost downloads, and even raise your app’s retention rate. The best part is that you can achieve all of this with just one tool implemented in your Android beta app and production versions on the Play Store. Instabug is an Android bug tracker and in-app feedback SDK that, at its core, makes bug reporting exponentially easier for developers. But it also has many added bonuses, like helping to get more app reviews, increase user feedback, drive five-star ratings, boost downloads, and retain users. Basically, it’s exactly what you’re looking for. Make sure to fix bugs as soon as you catch them. In March of this year, the Google Play Store surpassed 3,000,000 Android apps. With so many options available, users have zero tolerance for buggy apps. One study found that 84% of users will abandon an app after it fails only twice, and many of them will probably leave angry, one-star reviews. Users are naturally more likely to post a review when they’re mad and have something to complain about rather than when they’re content with your app because it’s working as expected. So even if your app works perfectly fine for a silent majority of your users, a vocal minority who experience bugs and crashes with your app and post negative Play Store reviews could kill your reputation and turn countless potential users away. Preemptively eliminate negative reviews by using an Android bug tracker like Instabug during beta testing. Using a bug tracking tool to automate the messiest and most tedious parts of your beta phase gives you more time to focus on fixing errors and refining the app. And with easy integration with your project management tool of choice, you and your team will be able to immediately take action on the bug reports you receive from your testers. To really optimize the beta testing stage and boost your app’s chances of success, you want to go beyond simply saving time in your dev process and capitalize on this period to win your testers’ love and build an early user base. Take their advice into account, make them feel heard and appreciated, and reward the time and effort they put into helping you improve your app. This will build their trust, earn their respect, and convert them from mere testers to loyal fans of your app. Then when your app goes live on the Play Store, ask them to post five-star reviews and they’ll be more likely to do so. 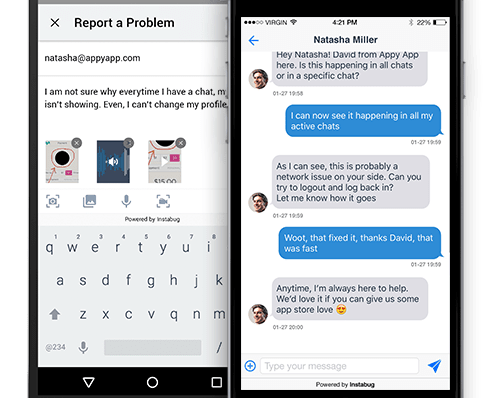 With an in-app feedback SDK like Instabug, users can chat with you directly, so you’ll be able to handle negative comments privately, fix issues, and de-escalate problems behind the scenes. This prevents negative Play Store reviews and gives you the opportunity to flip their experience to a positive one by providing them with excellent customer support. Then when they’re happy and satisfied, you can direct them to your Store Listing and ask them to leave a five-star review. Check your reviews religiously. Reply to negative comments right away with a friendly, personalized response (NOT a copy-paste reply with a link to a support form). Thank them for their feedback, apologize for poor experiences, and never argue. Let them know the action you’re taking and immediately fix their issues when you can. If you require further information, explain specifically what you need them to tell you. Then follow up as soon as possible to update them that the problem has been resolved. If you don’t have an immediate solution, suggest workarounds and refer them to documentation or FAQs to help guide them. Go one step further than just troubleshooting and build relationships with your users as you’re fixing their bugs and resolving their concerns. This enhances their trust, makes them feel heard and appreciated, and makes them love your app even more. Use an in-app feedback tool like Instabug to interact directly with your users and chat with them inside the app without having to leave. This saves you time and prevents negative feedback from reaching Play Store reviews. While addressing your users’ pain points and making your customers happy builds loyalty, focusing on Customer Success aims at retaining users. Customer Success is all about reducing churn. You’ll need to monitor your users’ behavior to identify when they are most likely to abandon the app — for instance, maybe it’s after three days of inactivity. Use in-app chats to target these users. Try offering incentives for them to interact with your app again, like a free in-app purchase or unlocking points for mobile games. If you want more positive Play Store reviews, ask for them! Explicitly ask your users to give your app a five-star rating and share their love for your app in Play Store reviews. Maybe you want to prompt them after a certain number of sessions after they’ve gotten used to your app. Maybe your app leaves great first impressions and doesn’t need much time to understand, so you want to prompt them sooner rather than later. Or maybe it’s a different case for different countries. Whatever you determine, don’t spam them. If you ask them too often, too many times, they could end up giving you a one-star rating just because they got annoyed by your constant prompts. The perfect time to ask your users for a five-star review is right after you’ve provided them with an exceptional support experience. You can do this manually after you finish a conversation with a happy user, like in the screenshot above. You can also maximize your chances of getting reviews and prompt your users automatically every time certain events occur. In addition to being an Android bug tracker, Instabug lets you automate messages to your users when specific conditions are met. So, for instance, every time a bug’s status is marked as “closed”, you can set a rule to send the user a message notifying them that their issue has been solved, thanking them, and asking them to give your app a five-star review. Don’t just ask, take it one step further and make the rating process as easy as possible for your users by letting them submit a review without having to leave your app. This increases the likelihood that they’ll follow through. In your messages to your users, Instabug lets you include a call-to-action button, which opens your Google Play Store Listing directly in the message. Also, make sure to localize your message to users so that communication is as clear as possible, especially when you’re asking for reviews. With Instabug, you can target users by location and send them messages in their native language. Most successful apps are updated one to four times per month. Never update your app just for the sake of it, make sure that the new build adds value by including a new feature or fixing bugs. 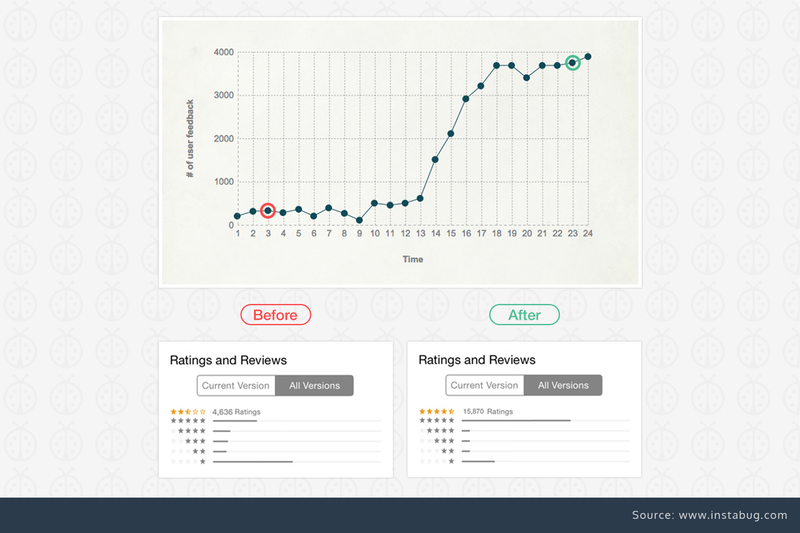 This shows your users that you’re constantly working to improve their experience. In your release notes, you can also ask your users to review your app. Prevent negative feedback by encouraging users who are experiencing problems with older versions of your app to update to your newest build. 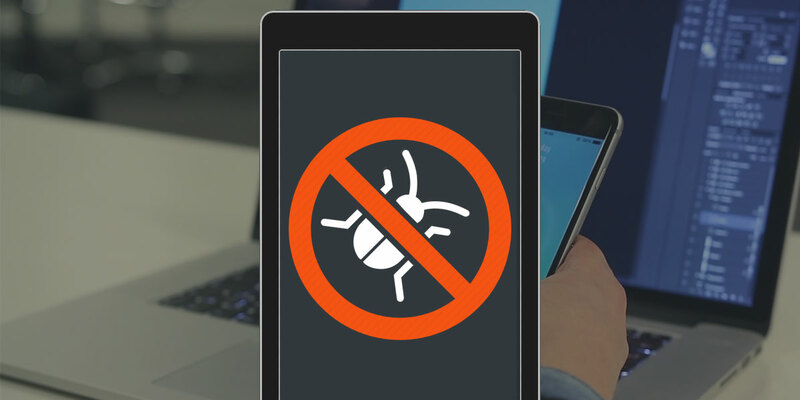 With Instabug, you can target these users and automatically send a prompt only to devices that have submitted a bug report and are running older versions of your app. 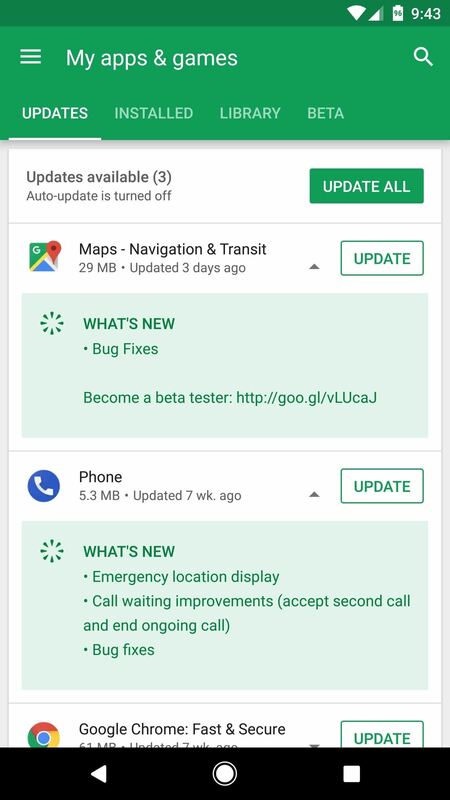 The message includes a call-to-action button that links to your Store Listing on Google Play where users can update to your newest app version. Use an Android bug tracker and in-app feedback tool like Instabug to ask users to submit feature requests in addition to catching bugs. The more in tune you are to your users’ needs, the more they’ll love your app when you release an update with a feature that many of them have been asking for. You can also target these questions to a specific segment of your users, like only those who are using a specific version of your app or only those who have made in-app purchases. Track bugs, build better apps, and get more positive Play Store reviews with Instabug. Get started for free with just one line of code.